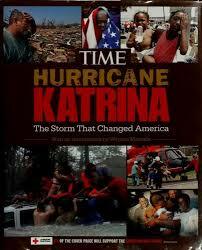 Hurricane Katrina devastated the Mississippi and Louisiana States. The damage is greater that anyone can account for at the moment. Over a million citizens have been displaced by this natural tragedy. Emotions are high and the diversity of opinions is rampant. Many blame the federal government for being too slow and complacent in responding to and taking care of the victims. 70% of the people displaced and victimized by Katrina happen to be black and poor. As such, many individuals, organizations, and news-media have attributed the devastation and the inadequate government response to race and class. Black leaders, like reverend Jackson, argues that if Louisiana was governed by a brother of Bush and inhabited by rich white folks, preventions and response measures may have been taken as proactively as in the case of Florida. Public media, such as Pacifica, PBS, Democracy Now, argue that the racial make-up in Louisiana and Mississippi has no economic significance and thus a low priority to the Federal government. Other media, such as Fox, CNN…etc. zoomed on the issue of race in relation to the looting activities that broke out after Katrina hit. They showed images of black folks looting the city. The French Press, on the other hand, showed both white and black folks taking survival supplies, such as water, food, and blankets. Neutral sources ascribe the slow response of the government to FEMA’s lack of resources and to the fact the federal government emergency response units are stretched out because of the war in Iraq and homeland security tactics. Others argue that the local State government has done little to be proactive and protect its people. State Secretary Rice spoke up about the race and class issues and adamantly denies any link between the government emergency response strategies and race. Should the sheer devastation of and slow government response to the hurricane Katrina be attributed to the racial and class make-up of the people directly affected by it? 1- Identify and discuss major facts of the Documentary—remember, not all of the facts, just the ones that you think are have relevance to the primary question of the assignment. 3- Discuss whose account you find to be more accurate in Spike Lee's film. Who is lying? Who is telling the truth? 4- Conclude with an analysis of the following questions: Do you think that truth and falsity are similar or completely opposite? Is it easy to find out who is telling the truth? Is there an absolute truth? Remember that you are writing a thesis-driven essay: Your thesis, which MUST be a direct response to the Essay highlighted question using the Sheridan Baker technique, drives how you go through sequence 1 through 4. Paper Masters writes custom research papers on Katrina: Coincidence or Conspiracy and discuss the damage from Katrina and blame the federal government for being too slow and complacent in responding to and taking care of the victims.